Starting off very fine and soft, we have Alone where you get harmonies by who I am assuming is Layetri-P himself just before Miku starts her melodic singing. With a stable build up between the verse and chorus, it transcends into an exemplary show that the chorus doesn’t have to be harder than the verse. Sometimes the song is so compact that it sounds beautiful. This style of genre is called Soft Rock, and also one of my favorites. The drums don’t have an OOMPH!!! to them like many other songs, but that’s what makes this song so great, they aren’t as overpowering and ultimately a part of the soft atmosphere, which is insanely hard to do from my own experience. Of course, like any great song, it fades like it’s ready for the radio! I wish I could hear this song on the radio. Under The Cherry Tree is a classic J-Rock or J-Pop song with a smooth high octave guitar melody. Miku sings pretty fast starting out, but it levels out afterward. Not only that, the verse has so much going for it, I’m surprised the verse isn’t the chorus. Of course, it’s in Japanese so I can’t understand any of it. But I am a fan of those noise gates that add emphasis on the power of this song that sets it apart from the rest of his entire discography. Oh, and we can’t forget about that epic guitar solo that danielvw played on the real guitar! It sounds that awesome and living instead of targeted like on FL Studio. And the end of the song uses a very powerful reversal that makes it hard to say that wasn’t a great end to a great song. I mean, I love this song because of the fact that my advice actually made it sound better, and of course, the rest of teamLayetri should be given like 100% of the credit, all I did was be my curious little self. So A++++++ on this song! Oh my sweet Xin, yet another soft rock song! Xin Hua is a new one for Layetri, and I admit, fine choice~ Just smooching sounds that chefs make when their foods are perfecto! This song is under 3 minutes, which really makes the softness apart to listen to. Ok, I know I said it was a soft rock song, but it is a bit harder than Alone, but I will say the drums are more into the instrumentals than that. There are tons of reversals detailing transitions from Verse A to Chorus A and I think that’s perfectly alright. I will say that this song was perfect for Xin because her voice matches the chiptune melody in the atmosphere of the song, which means that they knew exactly what they were doing when they made this. As Flagship song of the album, I thought it was perfect, but could’ve been longer, but I listen to long songs… like I spammed a 22-minute song by Theocracy for the past 4 weeks… ok, not the point. Just listen to it, you’ll love it if you love soft adorableness. I haven’t talked much about the song, but truthfully, the melody is godsend gorgeous, and the backing instruments are fully layered to make the vocals the primary sound. It is truly a beautiful piece and is why this is my favorite song! Million Stars is just as hard as Under the Cherry Tree, but replace the guitar with a saxophone, and you got yourself a fantastic toe-tapper. Now this, this is pure rock jazz, but I’m also hearing some reggae in there… is that just me? I think my favorite part about the saxophone is that it’s played on a real instrument rather than on FL Studios which I’ve mentioned before. That’s the thing about teamLayetri, they make beautiful music from scratch like a real band, but they also could be thousands of miles apart from each other, which is amazing. ( oOo) Holy Tuba’s, that saxophone solo is immensely well done. I’m spamming that one on my next trip. Million Stars is the type of songs I was introduced to by teamLayetri. So yes, this is their strong suit! Do you like Instrumentals in the middle of an album? I do believe Layetri-P alone made this song, and it’s obviously a keyboard lead song with backing instruments. Layetri, I think you should sing sometimes, but not on this song, it’s perfect the way it is with the melody of the piano creating a poppy and childish atmosphere for complete fun! And out of left field, we have a new sound for Layetri… METAL! Now, with the minor key and so much POWER and DISTORTION in the instruments, it isn’t as powerful as today’s metal, but imagine something more classic like Iron Maiden or Iced Earth, which is what it honestly reminds me of with the melodic vocals and the near subtle distortion and complicated chords. But it does sound like a band that I am misplacing the sounds… I’ll have to go through my list and check. This song has a darker feel with opera vocals and dark synths in the atmosphere that make this pure European thrash metal. I am legitimately surprised they pulled this off so well. With riffs that even Metallica or Megadeth wish they’d come up with, the majority of the instrumental is definitely metal. Miku does sing, except with a melodic form other than those harder vocals than the actual bands I mentioned. But I do hear a bit of vocal fry to her voice, which is always lovely to hear. The verse is very emotional and something you should definitely listen to, but the chorus is far more emotional and impactful than even that, with Miku singing in tandem with multiple octaves that is classic for certain melodic thrash metal. Oh, and the swift change in keys is a staple for very well practiced song structure in metal, which I have to ask… WHY HAVE YOU NOT MADE METAL BEFORE!?!? The song ends so freaking well with that epic continuous diminuendo dives that I really am realizing I want to cover it with my more intense sound to hear what it sounds like in a more modern metal sound, but then I wouldn’t give it any justice! Now that the new sound test is over, let’s go back to a j-pop feel with a feel-good song written in Japanese so I can’t understand it. Honestly, I am definitely hearing some Under the Cherry Tree vibes and melodic takebacks from song #2 from the album, but this time we get a very unique chorus with Rin and Len in each ear! I see what you did there! Guess which one is in which. Yep, Rin in Left and Len in Right… wait… is that a troll or is that just a mixing oopsie? I dunno, but I find it funny and cute. The song has a lot going for it basing itself off of song #2, but it also has something it doesn’t… A literal harmony in the chorus with each Vocaloid in different ears! Nice touch if I do say so. This is a remaster from a previous song, which I think I’ve covered already on this website… I do believe… if I have, you’ll see a link to the review RIGHT HERE and if not then oh well. I have heard this song a long time ago, and this rendition is perfectly made with a more stable harmony with Len and Rin, except they aren’t in sole ears this time, and are just like 30% more in each ear. So one thing about this song is that I fell in love with the chorus. This is a really good remaster! Ok, Layetri once let me in on a little tidbit of information about The Netherlands style of pop music… it sounds literally like our country music in a very subtle sense. It starts off like any classic country song duet for you Americans out there, and it has very many aspects of it including the clean guitar solo. This is the definition of pop in the Netherlands, and I can see the inspiration with Miku and Miki coming together to truly sing you a song from the heart. Also, that bass guitar has some very THICC noise that brings the song home. Burst is a song I’ve heard before… but I’ve honestly forgotten where because it isn’t on the previous albums. Must’ve heard from the man himself. Anyway, as the last song on this near-perfect album, it is just over 5 minutes long which I can get behind. The purity of the music sounds like it came from the soul of the creators, and is in my opinion, a fantastic end. The best part of this song is the clean piano melodies sprinkled in with the true instrumentals to add even more emotional atmosphere. Miku’s chorus is deeply moving, and the guitar solo has some deep bass and low pass to it that makes it conflict with Miku’s high voice, but that could be a preference issue for the most part- I find it awesome because you don’t hear that distortion type sound on most Vocaloid songs. In actuality, the beginning and melody is being played by a ukelele or something resembling a ukelele. The number of overlapping instruments are perfectly aligned to create an immersive atmosphere that rivals even the best songs I’ve heard in my life so far. If you liked Under The Cherry Trees Reversals, they’ve got you covered in this song too! I just love the structure and actuation of the song itself. TeamLayetri truly did make this with the intent to grow and impress. I am very much impressed with this album compared to the previous albums, even though it had less brass than the other ones, it had many plot twists that kept making me far more intrigued in the album itself. That’s what makes this album fascinating. Also, it reminds me of the album Jealous Gods by Poets of the Fall, my favorite band of all time, because not only does the number of songs count the same number of 11, but also the only Poets of the Fall instrumental is track number 6… which just actually blew my mind almost. 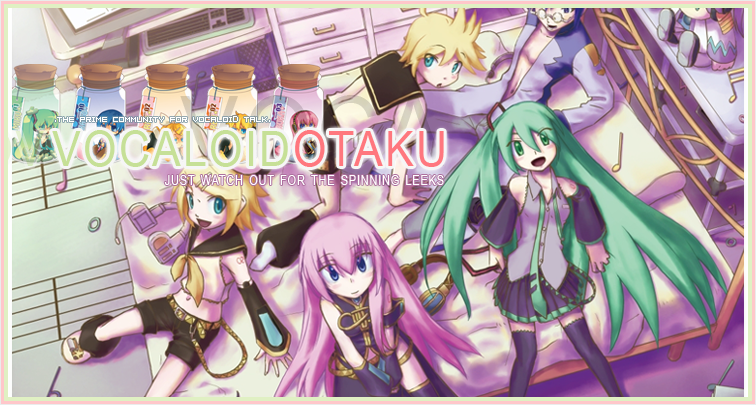 And really, I did find most of these songs as something I’ll put into my collective “Favorite Vocaloid Songs” Playlist on my phone! I gotta say, Lone Wolf will keep me satisfied until the next Layetri album comes out, but until then, how about you go do them a favor and buy their music so they can make new music faster? Just go check out the Amazon/iTunes page to get the sweetest album from Layetri thus far! You can also check out SoundCloud to see if you like anything to buy if I didn’t have any way to put SoundCloud on each song, which I will certainly try to do. This album is awesome! The variety of song styles is really interesting. My favorite songs are the following: Warm My Heart, Million Stars (dat saxophone tho), Poisoned Smile, #9 (I can’t type japanese), and From Time To Time. Definitely will check this artist out!